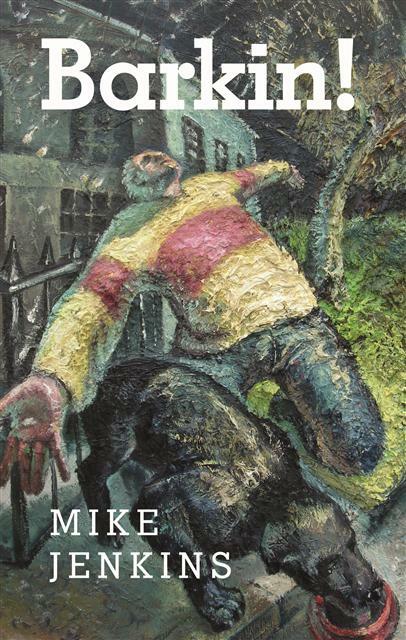 Mike's new book Barkin! is available now. In Barkin! Mike Jenkins captures both the craziness and tragedy of his home town. These are poems and stories, using Merthyr's vibrant vernacular, about people who try to defy the oppression of a system which has made it one of the poorest places in the land. March 14th - Imperial Hotel, Merthyr Tudful. 8 pm. March 19th - Saith Seren, Wrecsam. 7.30 pm. March 20th - Trinity St. David's Uni., Library, Lampeter. 7.30 pm. March 21st - Arts Centre Bookshop, Aberystwyth. 6.30 pm. April 12th - Oriel Canfas, Glamorgan St., Canton, Cardiff (with Phil Carradice). 7 pm. May 2nd - Canolfan / Soar, MerthyrTudful. 7 pm. May 14th - Arts Centre, Pontardawe. 7.30 pm. May 28th - Hen 'n ' Chicks pub, Abergavenny ( with Ifor Thomas) . 7.30 pm. It has been reviewed HERE and can be purchased HERE.